The project includes the provision of seeds, tools, on-farm and off-farm training, allowing an increase in the production yield compared to traditional farming. 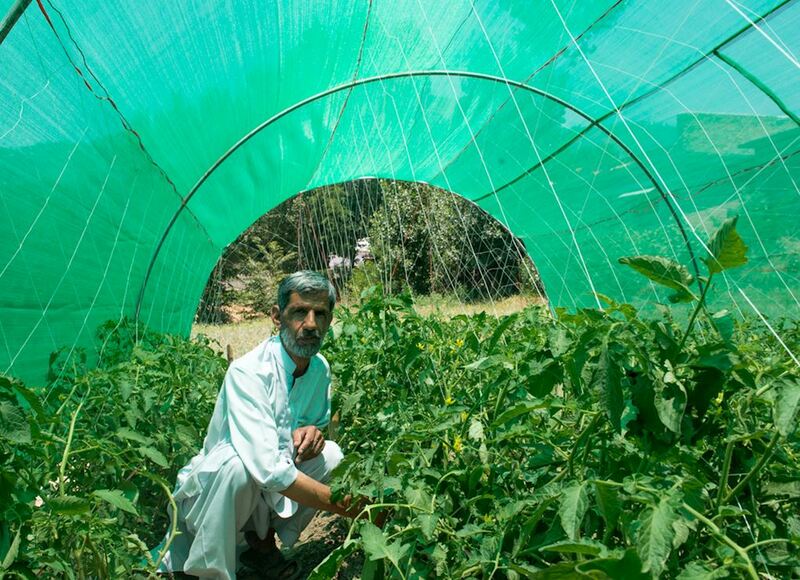 So far, the project has supported five of the farmers by establishing 10 tomato tunnels (two per farmer), each with capacity for 384 plants with an estimated high yield of 786 kilos of tomatoes. The second phase yielded a total of 2,500 kilos with five months, generating an average revenue of Rs. 20,000 (£120) per farmer.